Our Products >> 1050 Ballistic Nylon 9 Foot Wide! Extremely robust. Tight weave, great bias, shrinkable, unbelievable 9 foot wide! 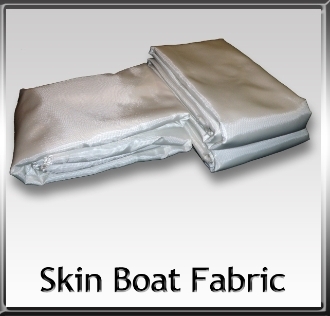 Used for large open boats like umiaks or canoes, wherries, long boats, etc. Extra urethane needed for kayaks. PLEASE ORDER BY THE FOOT! THANK YOU! 1050 Ballistic Nylon 9 Foot Wide!